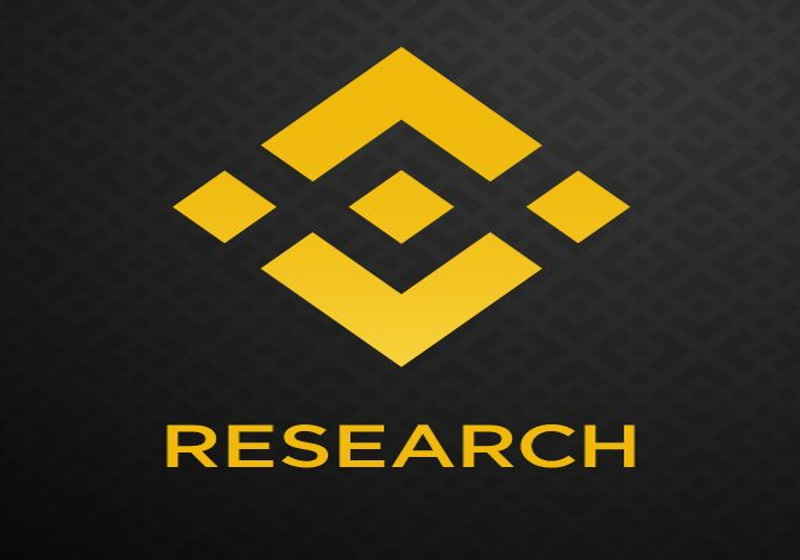 One of the leading cryptocurrency exchanges Binance has revealed fresh analytical report covering cryptocurrencies price trends via its research department Binance Research. According to the research, the company's analytical team believes that the so-called price bottom can be actually passed along with the sharp downward trend of bitcoin and other cryptos. The report showed that the correlations vs the US dollar were mainly caused by certain factors, with a market irrationality being among one of them. Specifically, the latter is said to be similar to the so-called "herding effect" which is observed at the later stages of bullish and bearish phases. Bitcoin prices soared by more than 40%, though 3/4 of the gains took place in April. 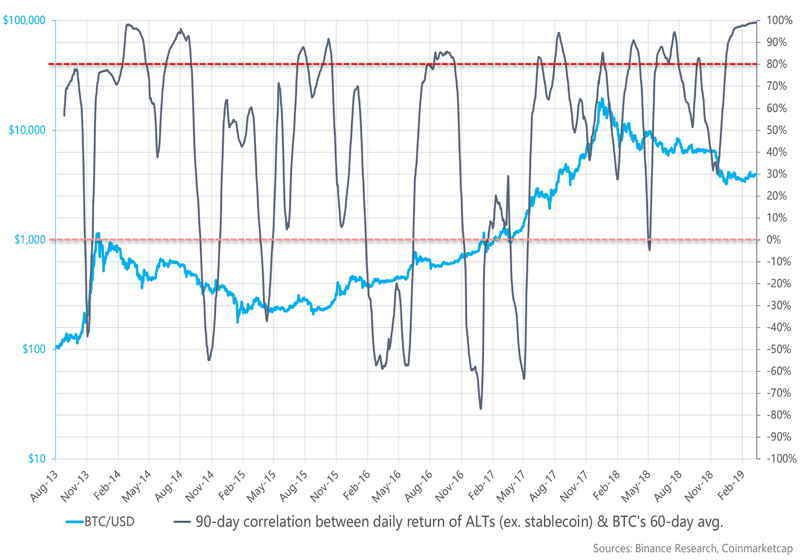 Before that, altcoins market also posted the rise. The research notes correlations between cryptocurrencies. It was shown that the 2018 bearish market experienced higher internal correlations. Citing the co-movement phenomenon, it was mentioned in the report that irrational moves of retail investors and the maturing market probably fueled heavy internal correlations of cryptocurrencies. 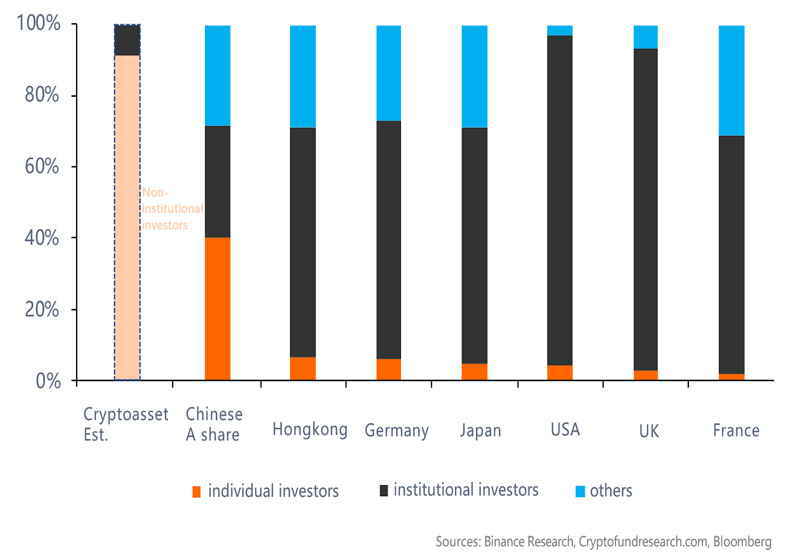 In an attempt to examine the co-movement phenomenon further, the researchers compared the investor structure of the cryptocurrency and traditional stock markets in different countries. 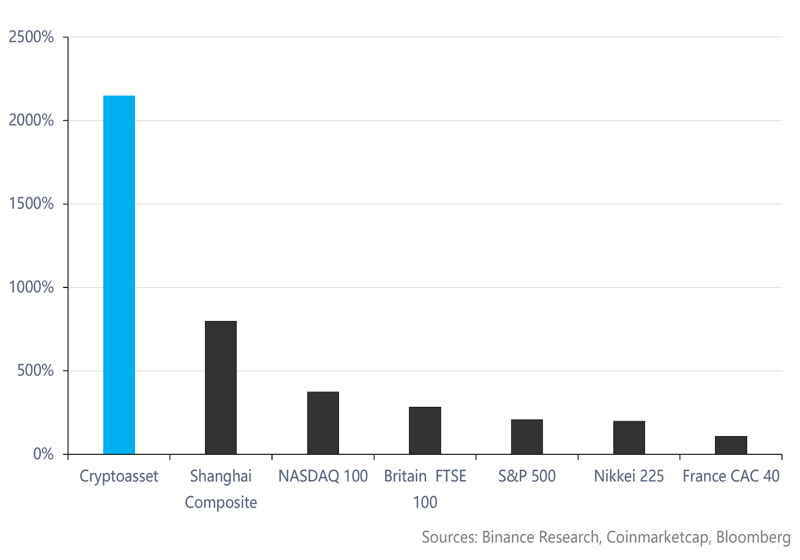 During the review, it was discovered that asset turnover is much higher in China, which is said to be related to a high share of retail investors in both markets. In particular, retail investors accounted for more than 99,8% of total players in Chinese stock exchanges (over 40% combined capitalization and 80% trading volumes) in 2017. On that point, the analysts commented that the link between higher share of retail traders and higher volumes could be explained by the fact that "non-professional investors are prone to becoming overconfident or overly pessimistic in reacting to market trends, leading to higher potential transaction volume, more volatile prices." One more segment of the research covered the HODL strategy. The market participants prefer to HODL only when the market is driving downwards, though they become more active in seeing skyrocketing prices.